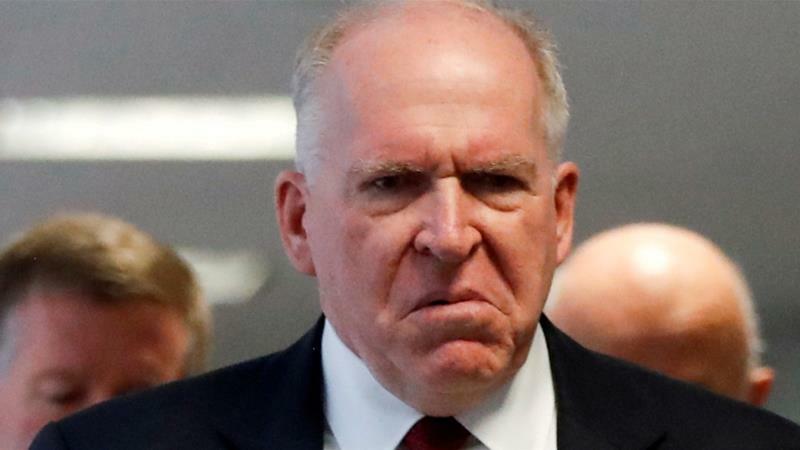 Trump cancels security clearance for ex-CIA director John Brennan – Royal Times of Nigeria. US President Donald Trump abruptly revoked former-CIA Director John Brennan’s security clearance and warned he may do the same to other former officials. A statement read by the White House press secretary, Sarah Huckabee, accused Brennan of having “leveraged” access to highly sensitive information to make a series of “unfounded and outrageous” allegations. In a statement attributed to Trump, she said Mr. Brennan’s lying and recent conduct characterized by increasingly frenzied commentary is wholly inconsistent with access to the nations’ most closely held secrets. Brennan, who has been a vocal critic of the US president over his alleged ties to the Kremlin, said Trump was trying to “suppress freedom of speech and punish critics”.